Christmas is close by and everyone is off to search for the right presents. Every year I am super late and am running from one store to the next without any plan what to gift my family and friends. I am really not good at this and my creativity for presents that are non sentimental is just super limited. So every year someone gets a scarf, a bottle of red wine or a bracelet. Not that these ideas are bad, but I would love to give this year some more distinct presents for each one of them. 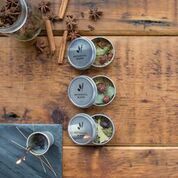 To make your life a little easier as well as mine, I have been thinking a little ahead to christmas about some great present ideas which you can find here below. If you have any more ideas, then please let me know in the comments below! I hope you’ll like them! P.S. at the end of this blog post you’ll find a give-away for you to win! 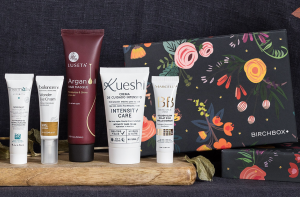 The Birch box is a beauty box for HIM or for HER with lots of small details inside. It can be candles, creames, make-up, nail polish or anything related. Just have a look on their website and get inspired by their christmas gift ideas. For beauty lovers you will surely find something! Photos are getting more and more important every day. Who of you doesn’t snap here and there a photo with your phone or cam? Unfortunately the easier it gets to take photos, the less easy it is to actually have pretty print images. 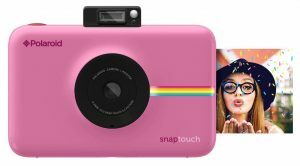 This is why this is the perfect christmas gift for who loves to take photos, but doesn’t want to miss out having them printed at home. Hanging from a cord, added in a bigger frame, or just having them lying around in a box. 3h of flight ahead and in the mood for your favourite cocktail? Easy! 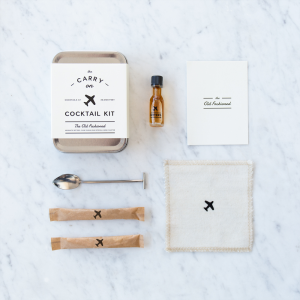 This carry-on set is the perfect present for who can’t even wait in the airplane to get a quality cocktail. 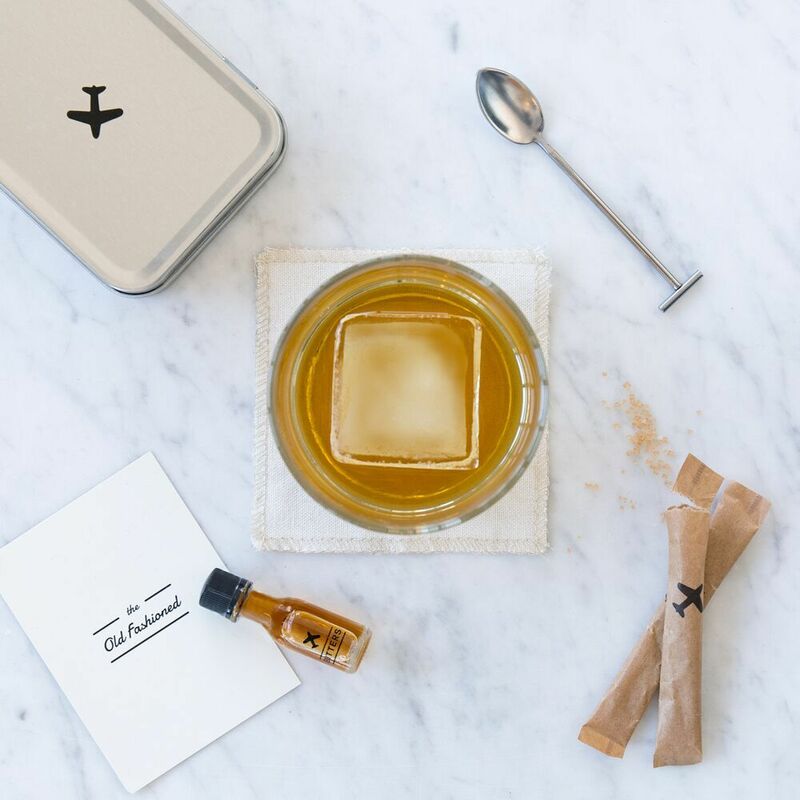 These are the perfect christmas gift ideas for every jet-setter. My choice? The Old Fashioned! But there are 5 more cocktails to taste: Moscow Mule, Champagne Cocktail, Gin&Tonic, The Bloody Mary,The Hot Toddy and The Magarita. 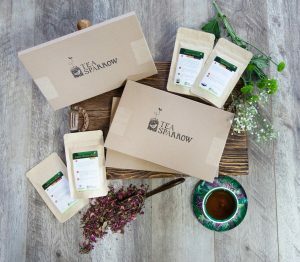 The person that loves to enjoy a good english tea in the morning or a lovely tisane in the evening is perfect for a gift like this. It looks pretty, it smells amazing and most importantly? It tastes great! The best christmas present for everyone loving and enjoying a good cup of tea. 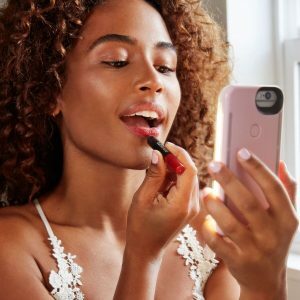 This Lumee iPhone Case is integrated with a light in front, for perfect selfies and a great help for re-adding your lipstick during a night out. What better christmas gift for the friend always skipping to the toilet to get the lips perfect? Do you also have more and more friends that can’t gen enough of Gin? I think we all have that friend that can’t get enough of gin tonic, don’t we? Here is the perfect Christmas gift for him or her. There are always friends that have the coziest homes, the best dressed living-rooms and simply the best taste in colours for their flats. Most of them even decorate their homes different for every season. Here is the perfect christmas gift ideas for them. 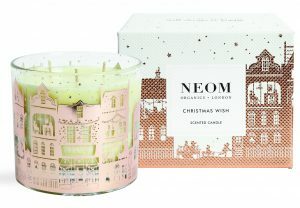 A scented candle that will make their flat even more cozy with the smell and look of christmas. 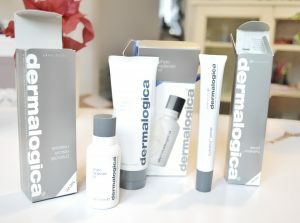 The Give-Away: New Products of Dermalogica (Value > 100 €) – Closed! The month of december is a very special one for me, I love christmas and I am even happier about my Birthday the 13th of December. So this year I have decided to share this month with you by giving you four incredible give-away opportunities! The first one is today, the second one on my Birthday (13th of December) then Sunday the 17th as it is only one more week to christmas and the last and biggest Give-Away is on Christmas day itself. Trust me it is worth to stick around! For more than one participation check out my Instagram and Facebook. *The decision is final and is exempt from legal procedures. I love to make people photobooks with all of the special memories from that year. I like to write things down all year long when i hear someone say “oh i’d love a …” so i can surprise them with it later! I love to make up hot chocolate with mini marshmallow cones. They make great little gifts for my children to give to their friends. Hope you have a wonderful weekend! After a crazy week I’m hoping to do a little bit more for Christmas, getting those last few gifts and doing some more wrapping! I’m kind of organised…. I like to put more thought into a gift. I like to get lots of little things that the people like and making a little gift hamper which I can decorate and make look exciting. This includes home baked goods, nice face and body products, perfumes, little bottles of alcohol ect. I find this so much fun and it also means you can be super creative! I really like making people hampers with lots of little bits in that are personalised to their tastes. I’m putting together a memory frame for hubby this year, he got to meet his hero from his faveourite band so im putting photos and his signed bits and pieces with a flyer from the gig in a nice deep frame so they will be kept nice forever! 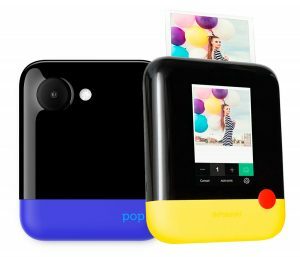 I was surprised to see Poloroid camera until I remembered the new ones are digital. I remember when they discontinued the old ones and I was left with no film. I’d be interested in the new camera. A silver plated ball scratcher for my father in law. I have seen this as a novelty gift and know he would have a real chuckle at it! Wow literally all the gifts mentioned are winners with me! I have lots of candle loving, tea drinking and gin loving friends who love making memories with photos. So any of these would be perfect! I like to make sure my presents are personalised, from names to hobbies. Every year I do a hamper for my nan with her favourite things… It’s not about how much you spend but it’s the thought. I think a really nice idea for a friend or relative is to have a photocopy printed using pictures from the year from their social media account. Not many people actually print their photos these days so it makes for a lovely keepsake and can become and annual present. Selfie light for mobile for my sister in law, I think thats the only gift this year that I’m sure will go down well. I like to make personalised calendars with photographs from the year. A great little keep sake. I love to make handmade memory books for people! Everyone seems to love them! Knitting my friend’s dogs matching Christmas jumpers and making felt booties would go down well! I love doing homemade presents as a token & meaningful gift. Personalised pressies all the way!! I do little hampers for friends and family with exactly the kinds of things I know they’ll love. I start in September and keep adding to them. People always comment how thoughtful they are. I like to put together hamper of body goodies, hand cream, shower gel, shampoo scrubs etc and a couple of alcohol miniatures just for the ultra relaxation. I love the idea of naming a star after someone, especially if they are in heaven. It’s a beautiful way of remembering them. Thanks for the chance & MERRY CHRISTMAS. I love making up hampers of things I know the person would love. My best friend is getting a baking hamper. Another is getting a hamper for a DVD night in. I am making my mother in law a hamper filled with her favorite things. 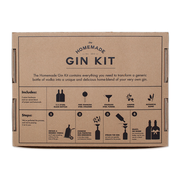 Edinburgh Gin, Too face Chocolate Bar pallet, Sloe gin mince pies and lush products are what I have put in so far. I love jewellery and alcohol from grown ups and homemade gifts from my kids and I like to give gifts that create memories. Making beautiful memories by making photo album of everyone on Christmas Day!